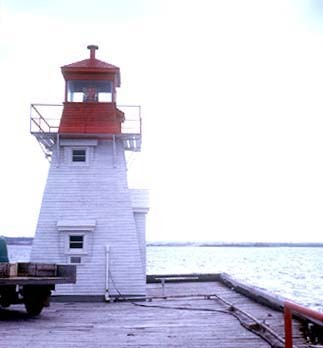 Battery Point breakwater light is shown at an elevation of 22 feet (6.7 m) from a white square tower, on the outer end of the breakwater. 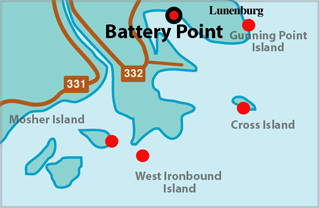 A fog signal of one blast every 20 seconds is sounded from Battery Point; the horn points 130'. Tower Height: 024ft feet high. Light Height: 025ft feet above water level.